I guess I had polka-dots on the brain yesterday as my youngest daughter wants dots on her birthday cake this year and I was thinking about that when I decided to sit down and do some fun recipe cards for myself. In keeping with the spirit of sharing... 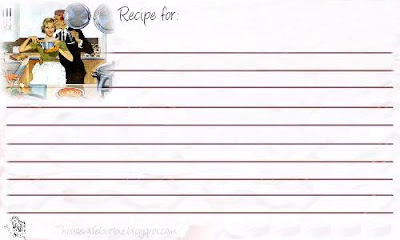 I am putting my recipe cards here for you to print as well! Just click on the photo to open it in its own window, full size and print on cardstock. If you are also making cakes this weekend (as I posted I am, below) then you'll be needing some frosting! Soooo many recipes for frosting. Isn't interesting that they almost all use basically the same ingredients, but give or take one or two and you have a completely different taste or texture? Here is another vanilla frosting (or white frosting) to add to your collection as well. Cream the butter and shortening together until smooth, about 12 minutes. Gradually add the sugar, milk and vanilla. Mix until smooth. This week I have two daughters birthdays. One of them is away in England this week so although her birthday is tomorrow we will be celebrating the night she arrives home from London, on January 2nd, which also happens to be her sisters birthday. Both girls insist they need their own cakes... LOL. I don't blame them! I think they do too! 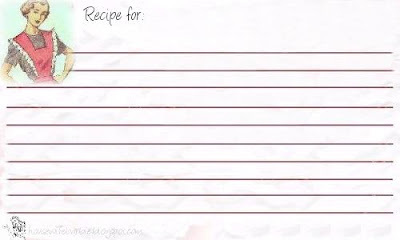 While searching through my collection of recipes for cake ideas I saw this recipe and what caught my eye was that it used my favorite store-bought white cake mixes but added enough ingredients from my kitchen to improve it. It also makes enough for 2 birthday cakes! I plan on making it this week, as soon as I can get to the store to buy more eggs as I currently don't have 8 egg whites in the house after all the holiday baking I just did this week. After baking I will be freezing the cakes to make it easier to decorate them on Monday or Tuesday. I'm excited to try this one - of course pictures and a review will be forthcoming! Place all dry ingredients in a large mixing bowl and beat just to blend. Add the water, oil, vanilla, almond extract, sour cream and egg whites and beat on medium speed for 2 minutes. Pour into 2-4 greased and floured pans (shape of your choice, 2 9X13 or 4 smaller round), filling each pan about half full. Bake at 325° F oven until cake tests done in the center. This morning I was sitting here sipping some coffee and watching the snow fall outside. It's beautiful - because I don't have to go out into it, LOL - and I decided to open up an editing program and just start making some recipe cards. Although I started to make a holiday themed card the next thing I knew I was using old retro graphics instead. I made them quickly for myself and my own personal use, but I decided to put them here so you could print them too - as I'm not selling them and they are free. Click on them to open a new window of their own in full size. After a few years of planning and cooking a large meal on Christmas day I realized that for us at least, Christmas day was more of a lazy, lounging, snack and play with your new toys kind of day and the kids nor Dh and I were interested in big meals. Instead we have our traditional Christmas Eve meal and I plan easy 'snackable' foods for Christmas Day where people can grab what they want when they are hungry, but no sit down meal. This year I made a crockpot full of BBQ Little Smokies, a second crock of Jalapeno Little Smokies, a third crock pot held cheesy potatoes and then I whipped up a simple layered taco dip which was served with tortilla chips. Of course the cookie trays and cheese and cracker trays were out as well! I covered my Pampered Chef stone with foil but you can use whatever platter you wish for the base. You can also microwave it instead of baking if you prefer and your serving platter is conducive to such. Spread the refried beans on your platter. Top with the black beans. Bake at 350 for 15-18 minutes until warmed through. Mix the taco seasoning with the sour cream and spread over the beans (You can also mix the taco seasoning with the beans if you want to keep your sour cream layer bright white). Layer the lettuce, cheese, salsa or tomatoes and onions. Top with the black (ripe) olives. Serve! Good warm or cold and I've never had extra's over the past 20 years that I've been making versions of this! I have a cookbook published in 1953 by Meta Given that I believe either came from my Great Aunt L or my MIL, who died 4 years before I met my husband. So many wonderful 'old' recipes that just say "I'm comfort food just like you remember your great grandmother making..." This is one of them. Add milk to the water and scald in top of a double boiler. Combine cracker crumbs, 3/4 c sugar, salt, 2 T lemon juice and the rind and add slowly to scaled milk and water, stirring constantly. Stir in melted butter and beaten egg yolks. Pour into greased baking dish and bake at 325 degree's for 45 minutes. Remove from oven, cover with meringue made by beating the whites of eggs until stiff, gradually adding the 1/4 c sugar and 1 T lemon juice. Bake at 350 for 12-15 minutes until meringue is brown. Serve warm or cold. Makes about 5 servings. Although this old recipe doesn't say what kind of crackers to use I believe there were probably only one or two versions readily available at the time so I would hazard a guess that she used saltine or perhaps Ritz. I think either would do but personally I'd use saltine. If you are lucky enough to have Fiori di Sicilia and Bakers Ammonia in your cupboard then this recipe is for you. I *think* it came from King A's Flour company but I'm not entirely sure. What I do know is that these two ingredients make a very light, crisp cookie similar to what you may have had at your local bakery. 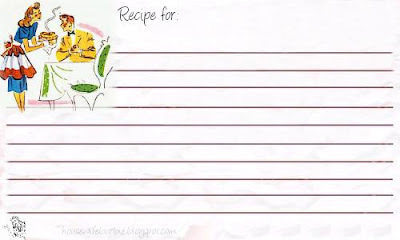 If you don't have Fiori di Sicilia just substitute almond extract instead but if you don't have bakers ammonia, then forgo this recipe for another. Cream together the butter, powdered sugar and corn syrup until light and fluffy. Beat in the Fiori di Sicilia and salt. Add the baker's ammonia to the egg and water, and stir to dissolve. Add this mixture, along with the flour, to the ingredients in the bowl, and beat until smooth. Divide dough in half, cover or wrap it, and refrigerate for 1 hour. Preheat your oven to 350°F. Using one piece of dough at a time, roll it out very thinly (about 1/16-inch thick) on a lightly floured surface, using more flour to keep the dough from sticking to the table or rolling pin. Cut out shapes, transfer to ungreased cookie sheets, and bake just until slightly brown on the edges, or until they feel firm, about 8 to 10 minutes. Let the cookies cool on the baking sheet for several minutes, or until they're set. Transfer them to a wire rack to cool completely. Cookies may be frosted after baking, or sprinkled with sugar before baking. Yield: about 4 dozen 2-inch cookies. When I was a child Christmas meant going to my Grandma H's for Christmas Eve and my Grandma N for Christmas day. No Christmas Eve was ever complete without Oyster Stew, Lutefisk and Rosettes. You can probably guess... we're Swedish. LOL. My mother never made rosettes but my Grandmother did, and later after I was married with three children, I received a cheap rosette set for Christmas one year. It has become one of my most treasured gifts. It has seen many uses and hopefully... many more! This year while making rosettes I realized that I think this is, perhaps my all time favorite Christmas cookie. Although not truly a 'cookie' perhaps, I'll say it's my favorite Christmas goody. This cookie recipe is probably one that a million women have already, and well, let's make it one million and one. Today we are going to cut them into snowflakes. You can find the snowflake cookie cutters almost anywhere these days, although when I bought mine they were difficult to find and the internet wasn't in as heavy use as it is now. I had to order mine from a real, honest to goodness old fashioned catalog. LOL. You can find them in stores, in catalogs and online easily now so - go get yourself some snowflake cookie cutters and then come back. For sparkle you can purchase edible glitter in the cake/cookie decorating aisle of your local store. Most Walmarts, grocery stores and fabric and craft stores will have this. 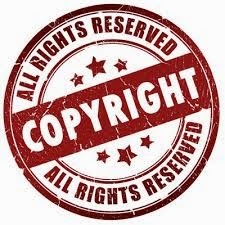 The one I used was by Wilton. Sprinkle glitter on while the frosting is still wet so it will stick. The frosting will start to set up within minutes so sprinkle as you decorate each cookie, don't go back and try to do 15 at a time as the frosting will have already hardened on the top (although it will remain squishy for hours so don't stack them!). Christmas Decorations! Don't Just String Popcorn! String cranberries or even Jelly Beans! However, why stop with popcorn? Have some fun!! Depending on your color scheme, theme or just your own interest (or what you have on hand?) string other things. How beautiful to string cranberries! The brilliant deep reds would be gorgeous. Toffee coated popcorn! How pretty with the caramel colored glaze. What a great fun project to do with kids... and if you have a brightly colored 'family' tree it would look great with the colorful jellybeans strung through the branches. The great thing about jelly beans is that they hold their shape well, they are easy to thread and you have so many color combinations you could coordinate your string of candy to almost any theme - even a more elegant ivory and gold, or burgundy and cream. Got an NFL themed tree in your home? Choose your jellybeans to match! Christmas is a time for fun... this is just one more way to add it. PS: We had to stop using these altogether when we got our cats. They even climbed up the center of the tree and knocked the upper branches until one of my gingerbread ornaments fell to the ground and then ate it! Smart little buggers that they are. This morning I was looking through my photo files to post on Christmas cookies when I found this picture of a cookie I had came across 2 or 3 (?) years ago and saved a copy to make for the feast of St. Nicholas, which is December 6th. Well, it's now December 13th so I obviously found it 1 week too late to make them for the feast day. However! By putting them here in my online collection I will remember to decorate St. Nick cookies similar to this next year. Save a copy in your files for next December 6! I'm pretty sure my Mother-in-law made something similar to this. She passed away before I started to date my husband so I can't ever know for sure... I have to rely on the memory of my husband but since his Mom was sick with breast cancer by the time he turned 10 years old and she spent the next two years in cancer-hell, his memories, sadly are what he can remember before the age of 10, which isn't much. He remembers she made "something like this...." and really, that's good enough for me. I like to think of her when I see these anyway because I know it looks like something she would have made for her family. 4 t milk - mix all until blended smooth. Heat oven to 375. Beat flour, butter, powdered sugar, milk and vanilla on medium until mixed well. Slice almond paste into 1/2 inch slices and then cut each slice into fourths. Shape one inch balls of dough around each bit of almond paste. Roll into a nice ball shape. Place 1 inch apart on ungreased cookie sheet or parchment lined baking sheet. Bake 10-12 minutes until they are set and the bottom is just starting to get golden. Remove to a rack and cool completely. Dip the tops of the cooled cookie into the almond glaze. I made this cookie once about 10 years ago and a couple more times 7-8 years ago and then promptly forgot about making them again until Christmas of 2003 when I stumbled across my recipe again and I've made every year since. This will be our 5th year in a row they've graced the cookie platters we give out. Honestly, it's one of the first cookies grabbed and gobbled down. They are a favorite of the masses. When I first saw this recipe I am pretty sure my brows furrowed and I had a little bit of a pinched look on my face. You see, I've never been a Bisquick kind of girl. Not even as a teenaged newlywed with only 1 cookbook to my name and little more than salt and pepper for spices in my apartment cupboard. 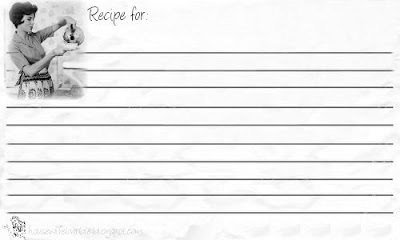 I love to collect recipes though, especially recipes that intrigue me. I decided that this one was worth trying some day when I remembered to pick up the Bisquick mix at the store. I still haven't picked it up though. Through the years I believe I have purchased Bisquick twice. Both times for pancakes when I was too lazy to mix the mix myself. LOL. However, I know that some people *always* have Bisquick on hand and in their cupboards. And for my own collection as well as to offer my readers a chocolate chip cookie that not only starts with a Bisquick base but adds delicious bits of toffee, this one is for you! Mix Crisco, brown sugar, vanilla, and eggs in a large bowl, using a mixer. Stir in baking mix, all chips, and pecans. If dough appears too dry, add a little water, one tablespoon at a time. Drop by rounded teaspoonfuls about 2" apart on a cookie sheet that has been sprayed with a non-stick cooking spray. Bake about 11 minutes or until golden. Transfer to wire racks to cool completely. Store in airtight container. This morning I wanted to share this recipe with you but I had to make a decision. I didn't take a picture of the finished product last night before I served them for dinner so I had to decide whether to post the recipe sans photo or do go to the refrigerator and dig out the leftover chicken and take a picture of it even though it won't be pretty like they were last night? In the end, you can see that I am including a picture. I decided even a bad picture was better than none at all. This, is an ice cold leftover piece of the Crab Stuffed Chicken I served last night for dinner. I made 6 as my daughters boyfriend was over, but we had a major snowstorm last night and his Dad wanted him to come home and he couldn't stay for dinner. So this chicken you see photographed is straight from a little container in the refrigerator where I placed the chicken, ranch au gratin potatoes and some rice pilaf into a container for my husband to take to work today for lunch. Pound the chicken breasts until thin. If you don't have chicken broth use a cup of water to 1 cube or teaspoon of bouillon but you only use 1/3 cup of it. If you don't have or don't want to use wine just use water or chicken broth in its place. It changes the taste just a bit so add a little more lemon juice (about a teaspoon) if you leave out the wine completely. Melt 3 T butter in saucepan. Blend in the flour and cook over medium low 1-2 minutes. Add the milk, wine and chicken broth. Cook over medium high heat until it comes to a boil and thickens. Add the lemon juice and continue whisking and stirring until thick and smooth. Set aside. Saute onions and mushrooms in 1 tablespoon butter until soft. Stir in crab, crackers, parsley and salt and pepper. Visually divide the stuffing into 4 (the number of chicken breasts you have) and heap the stuffing onto one end of the chicken breast. Roll up, turn in the edges and place in a prepared pan or casserole dish with the seam side down. Pour the prepared sauce over all and bake at 350, uncovered for an hour. Sprinkle with cheese and paprika and bake 5 minutes more until cheese is melted and golden. Here's yet another thumbprint version! I have a chocolate thumbprint cookie posted below but this one is more my style as I'm not a fan of chocolate but I do love lemon! Cream together butter and cream cheese until smooth. Gradually beat in sugar. Add eggs one at a time, beating well after each addition. Stir in juice and zest. Mix together flour, salt and baking powder and stir into butter mixture just until combined. Cover and chill until dough is firm. Preheat oven to 350 degrees F. Roll into balls using about a tablespoon of dough for each. Place on cookie sheet. Make indent with thumb in center of each cookie and fill with lemon curd. Bake 12 to 15 minutes or till edges are just turning a light golden brown. Cool on baking sheet 2 minutes then remove to cooling rack. Dust with powdered sugar and store in airtight container. Here is the second one I sent to my friend "M" yesterday when she emailed me asking for some of my families favorite cookies for a cookie swap. 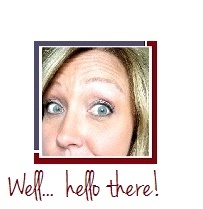 (*waving hello to M on this post too just in case she is reading it... because I think she visits this site). It's similar to the traditional tea cake recipe (Mexican Wedding Cakes, Russian Tea Cakes, Snowballs... all the same thing with different names) that so many people make during the holidays. 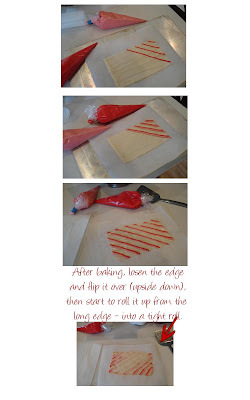 This one gives a peppermint spin to it and also makes them a beautiful pink color when rolled in the crushed candies. Add it to your list! They are well worth it. 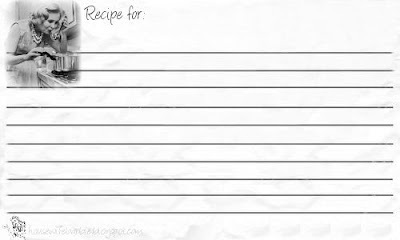 Yesterday I sent this recipe to one of my friends (*waving hello to M because I think she has found and visits this website...) and since I had this one and another all typed out in an email to her I knew it would be quick and simple to copy and paste here as well. This is one of my families favorite Christmas cookies. It's similar to the traditional thumbprints made with raspberry or cherry jam (which I also make) but since my crew tends to love chocolate I make these too and sure enough, they are one of the first cookies gone from the trays. Enjoy! Cream the butter and brown sugar, beat in yolk and vanilla. Gradually add the flour and mix. Chill for about 2 hours. Roll dough into 1 inch balls and dip in beaten egg white and then in the chopped nuts. Place on greased cookie sheets and use the end of a wood handle to make an indentation in each about 1/2 inch down. Bake 325 for 10 minutes. Press the indentation again as it will have baked up a bit. Bake another 10-12 minutes or so until the pecans are golden brown. Remove to wire racks to cool completely. Microwave the chocolate chips with a tiny bit of butter (about 1 tablespoon) and stir until smooth. Spoon into the indentation in the cookies. Let set. My daughters and I love feta cheese. We love anything salty so cheese, green olives, pickles... all favorites around here. We also love potatoes au gratin on cold winter nights. Typically made with cheddar, I was excited to find this recipe because it used feta. If you love greek feta cheese this is one recipe worth trying. Melt 2 T of the butter in a pan. Add the diced onion and cook until translucent but not brown. Add the minced garlic and cook one minute longer. Remove the cooked onions and garlic to a bowl and set aside. When the mixture has reached room temperature add the crumbled feta and mix well. This mixture can be made up to 3 days in advance and kept covered in the refrigerator. Preheat the oven to 350 degrees. To avoid discoloration, slice the potatoes one at a time, as you need them, to create each layer. Slice it on a mandoline or with a potato grater in 1/8" thick slices and line the bottom of a 8"x6"x2" baking dish or any similar available dish. Season the layer with pepper but not salt. Add another layer of potatoes and season again with pepper. Cover with a layer of onion/feta mix. Pour over heavy cream just barely to the level of potato. Press down each layer as you create them, the potatoes should be just sitting in the cream and not completely covered by it. Repeat the process two more times - potatoes, seasoning, feta, cream - and then top with a double layer of potato resulting in 8 layers of potato and 3 layers of onion/feta mix. When done, press down and make sure the potatoes are just barely sitting in the cream. The potatoes will give off water as they cook so it is important not to add too much liquid. Cover with foil and bake 1 hour until the center potatoes are completely tender. Remove from the oven, top with a thin coating of bread crumbs. Return to the oven uncovered and cook until the crumbs are golden. Remove from the oven, recover with the foil and set aside in a warm place for the cream to set and thicken (about 10-20 minutes). I have posted my typical cinnamon roll recipe on this site in the past along with a photo, just to make your mouth water, LOL. However, I've been intrigued by the recipes that use a pudding mix in the dough and not just in the filling. I found this recipe and liked that it used a bread machine to knead the dough as well as using the vanilla pudding in the dough. In the bread machine pan, place first nine ingredients in order suggested by the manufacturer of your machine and select dough setting. When dough is completed, turn dough onto lightly floured surface. Roll into a 17 in x 10 in rectangle. Spread with butter, sprinkle with brown sugar and cinnamon that have been mixed. Roll up jelly-roll style, starting from a long side; pinch seam to seal. Cut into 1 inch sliced. Place rolls cut side down in a greased jelly roll pan or use two pans if you don't have a large jelly roll sized. Cover and let rise inn a warm place until doubled, about 45 minutes. Bake at 350 degrees for 20-25 minutes or until golden brown. Cool in pan on wire rack for 10 minutes and frost with the icing above. At a restaurant last year I ordered Grilled Chicken Ravioli which was a dish that included ravioli served with a garlic cream sauce, caramelized onions and wilted spinach. I came home and tried to replicate the dish. I surfed the internet for similar recipes and then used idea's from about 5 or 6 of them to come up with my own dish. While surfing this is one of the recipes I came across. It's not what I wanted and didn't have a sauce listed so I didn't use it, but the ravioli itself sounded so good I had to add it to my collection! YUM! Sounds perfect for dinner tonight, I just have to check if I have any wonton wrappers in the freezer or not! Sautee chicken, spinach, garlic, basil, sage and tomato in olive oil 2 to 3 minutes. Add white wine, reduce heat for 2 to 3 minutes. In mixing bowl, add cheese with chicken/spinach mix and cool. Make ravioli with wonton wrappers. You can freeze them at this point for future use. To cook, place in simmering hot water and cook 3 to 5 minutes. Depending on the thickness of the pizza you like - Use in 1, 2 or 3 greased, average 'home' sized large pizza pans Let raise about 1 1/2 hours and top with your choice. Bake at 400 approximately 16-25 minutes in a heavily greased pan depending the size of your pan and how many toppings you have on it. Bake until golden brown.